Roy Plunkett was born June 26, 1910 in New Carlisle, Ohio, to Joseph and Bessie (Garst) Plunkett. In 1911, the family moved to a farm in Newton Township, south of Pleasant Hill. His sister Marie was born in 1913, Ruth born in 1914, and sister Jane was born in 1920. Around 1925, the family moved to Owens Road. His brother Richard was born in 1929. In 1927, Roy graduated from Newton High School. After graduation he attended Manchester College in Indiana. He graduated in 1932 with a B. A. in Chemistry. 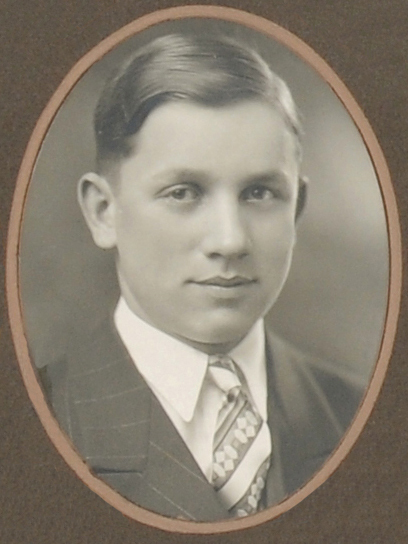 He then attended the Ohio State University in Columbus earning a master’s degree in 1933 and a PHD in 1936. He married Dorothy Detrick in 1935. 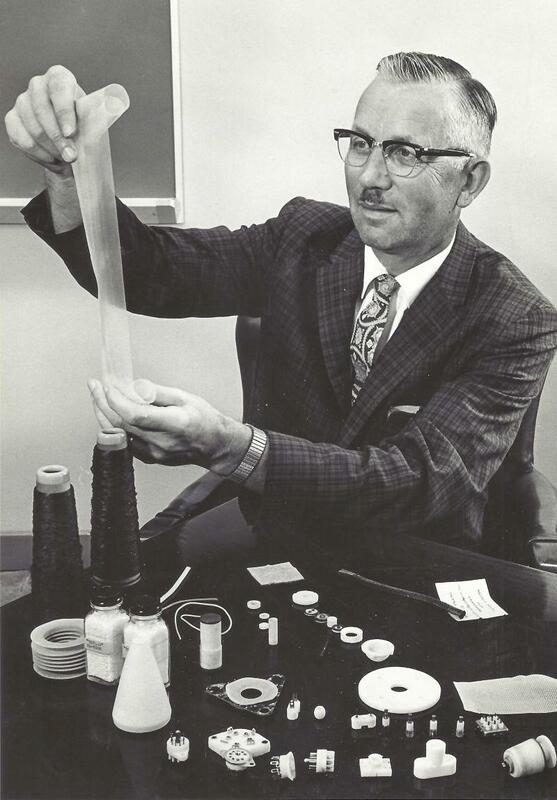 In 1936, Roy joined the DuPont Company as a research chemist at the Jackson Laboratory in Deepwater, New Jersey. On April 6, 1938, while doing an experiment involving refrigeration gasses, he discovered a white waxy substance in one of the cylinders. The substance was tetraflouroethylene. This substance was named Teflon. The tef was for tetraflouroethylene and DuPont used “lons” in a lot of words it made up for its materials…..hence: Teflon. In 1951, Roy received the John Scott Award. This award was presented to those whose inventions improved the “comfort, welfare, and happiness of human kind” in a significant way. Other award winners include: Madame Curie, Thomas Edison, and the Wright Brothers. In 1952, Roy was given an honorary Doctor of Science degree from Manchester College. In 1968, he was given a Doctorate of Science from Washington College of Chestertown, Maryland. In 1977, Roy also received a Doctorate of Science from the Ohio State University. Other awards include: Modern Pioneer Award, Chemical Pioneer Award, The Ohio State University Centennial Achievement Award, The Moissan Award (from France), and The John Hyatt Award. 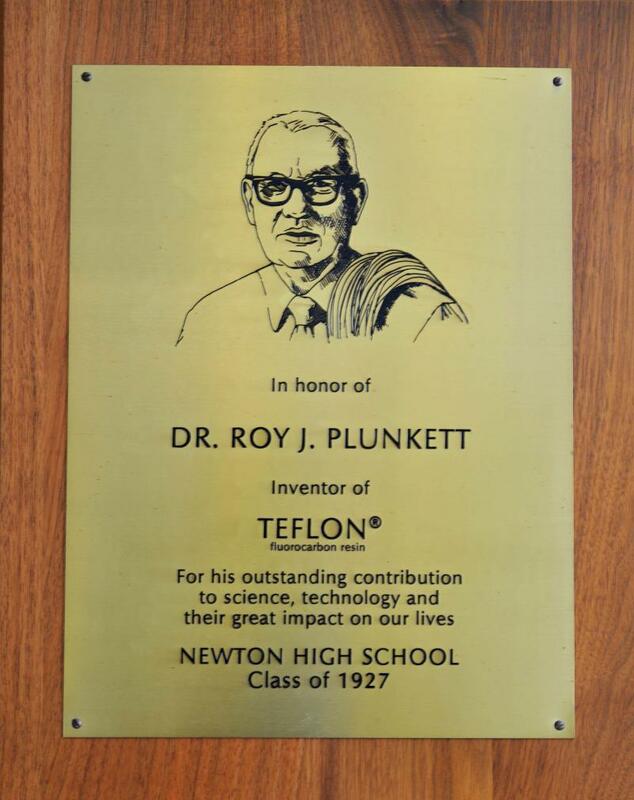 Roy has been inducted in to the Plastics Hall of Fame, National Inventor’s Hall of Fame, Ohio Hall of Fame, and the Newton High School Hall of Fame. Roy died at his Corpus Christy, Texas home, May 12, 1994.